Birds flapping desperately in pools of sticky petrol after oil spills are only the most visible part of the story. Our oceans are full of the chemicals we use every day, and the remnants of pollutants used in the past. Harbour porpoises live in the fast lane, spending their lives hunting and eating. Good for them, right? If only the small fish they gobble up weren’t so full of chemicals. They are now a vulnerable species, and critically endangered in the Baltic, where they are slowly poisoned by chemicals in the sea. Humans aren’t doing too well either: since the 1980s, pregnant women have been advised not to eat salmon due to the concentrations of heavy metals in their fatty tissues. Now these warnings have been extended to everyone. Chemicals are present in all elements of the sea, including in the seabed, animals, and water. And they are here to stay: pollutants like PCBs, a category of fire retardants banned in the 1970s, are still being found in the ocean’s deepest trenches, 10km below sea level. 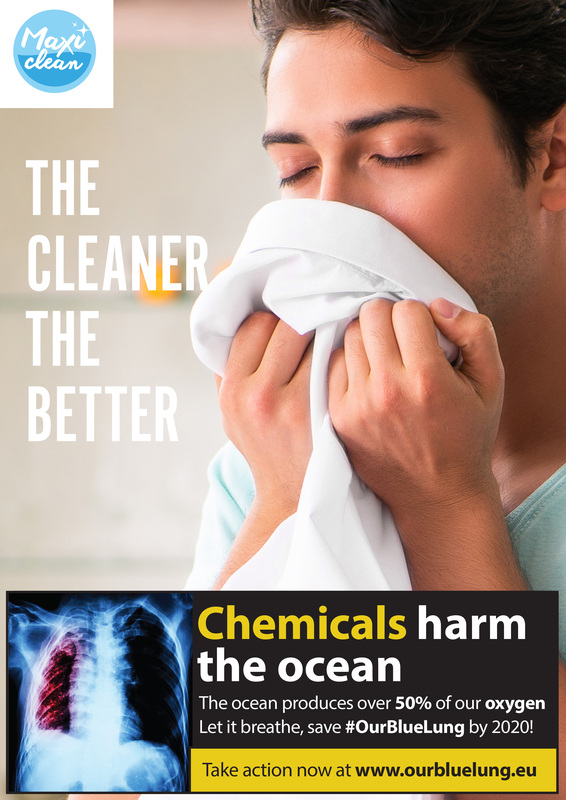 Chemicals are everywhere in the sea, because they are everywhere in our lives. Our clothes are treated with flame retardants, dyes and other coatings. Every time we wash them, chemicals go down with the laundry water. The pharmaceuticals we flush down the toilet end up in rivers and eventually into the oceans. All the products we make and use, whether they are made of metal, plastics, paper, glass, are manufactured or treated with chemicals. These chemicals escape into the air, the soil, the water, and eventually the ocean. There, in turn, they poison the seabed, the algae and the animals, and eventually ourselves again. It’s a vicious cycle.